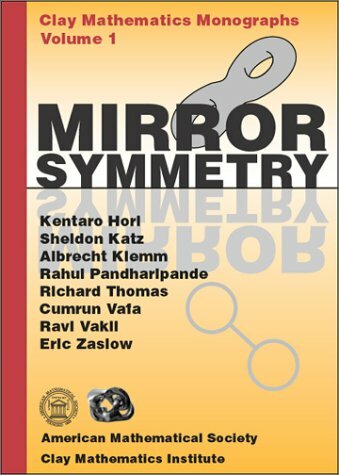 The aim of the book is to provide a pedagogical introduction to the field of mirror symmetry from both a mathematical and physical perspective. After covering the relevant background material, the main part of the monograph is devoted to the proof of mirror symmetry from various viewpoints. More advanced topics are also discussed. In particular, topological strings at higher genera and the notion of holomorphic anomaly. This volume highlights the interface between string theory and algebraic geometry. The topics covered include manifolds of special holonomy, supergravity, supersymmetry, D-branes, the McKay correspondence and the Fourier-Mukai transform.